In two previous posts we discussed decorated and modified vehicles in different cultures. These are trucks, buses, taxis and rickshaws that have been transformed to make cultural and artistic statements. In the earlier posts we focused on the obsessively decorated trucks of Pakistan and the dekotora show trucks of Japan. 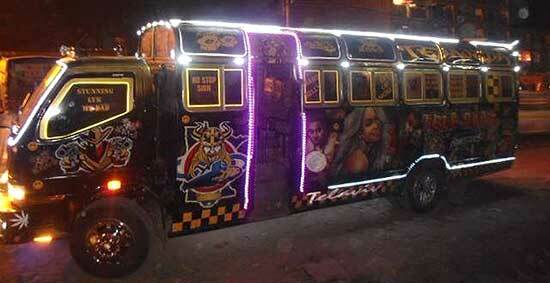 Today we feature the matatu of Kenya. Some readers of this blog may have also watched the Netflix television series Sense8 written and produced by Lilly and Lana Wachowski (Matrix and Cloud Atlas). If you’re a fan of that show like we are you will remember one of the main characters (Capheus) driving a mini bus through the dusty back streets of Nairobi, Kenya. The bus in the series is totally covered with graphics proclaiming the superiority of martial artist Jean-Claude Van Damme. 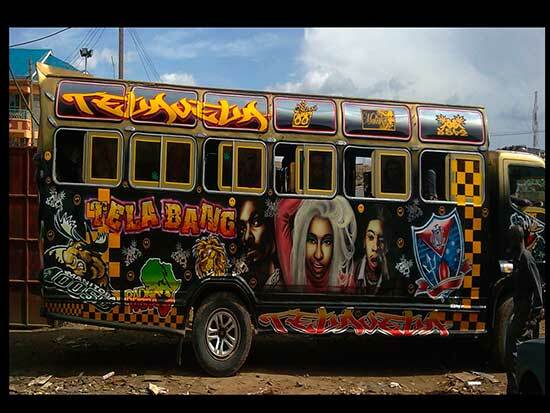 The vehicle depicted in the show is one of many buses generally known as matatu that provide nearly all of the public transportation in Nairobi. 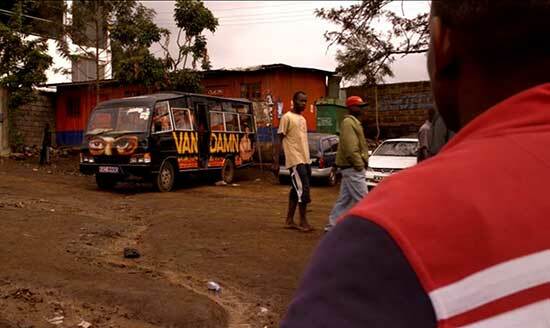 Matatu are privately owned minibuses that operate on fixed routes but not a fixed timetable. Departure time depends on having a full bus. To attract customers and fill empty seats the buses are painted with bold graphics depicting popular entertainers, religious figures or world politicians. Most buses also have powerful sound systems that blast popular music. An attractive bus will quickly fill with riders and can leave the staging area ahead of its rivals. More round trips equal more money for the entrepreneur who owns the bus and the driver who navigates the route. The name matatu is Swahili for “three.” It refers to the three 10 cent coins that a ride originally cost in the 1960s when the buses first arrived on the scene. Since then this elaborate system of private transportation has grown to become a quasi public institution with no competition from the government. Private ownership mixed with bribery, protection money and exploitive labor practices have created a wild and nearly unregulated multimillion dollar industry. In this “survival of the fittest” environment attention grabbing graphics are essential and matatu owners are more than willing to provide them. Some owners have been known to completely refresh their graphics every week in order to stay current with the exploits of popular entertainers and the arrival of new hit songs. At night many of the buses have lighting systems that – combined with the sound system – turn the matatu into a rolling discotheque. Like the trucks of Pakistan and the dekotora of Japan, the matatu in Kenya capture essential parts of the country’s spirit and culture. In this case it is a free wheeling independence and love of international pop-culture. 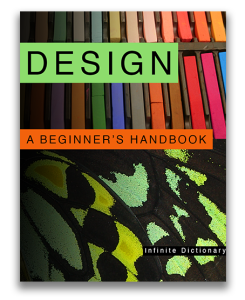 Learn more about matatu here. 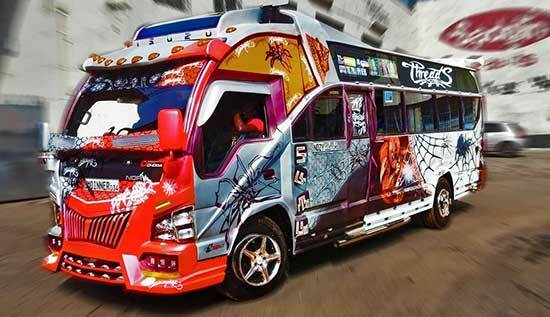 This entry was posted in Design in the World and tagged Art, decorated vehicles, design, Kenyan minibuses, Matatu. Bookmark the permalink.